In this article I will review the Stahlwille Manoskop 730N/2 Torque Wrench which covers the spectrum of 2-20 Nm. For me it is the perfect torque wrench to work on my precious carbon road bike. The Stahwille Manoskop 730N/2 is a very easy to operate and a high quality German-engineered torque wrench. In the article I’ll show you some of the unique features. The invisible but most distinguishing feature of the Stahlwille Manoskop is the lacking need to reset the torque wrench to zero after use. Mechanically it consists of the triggering cam system that you can see on this website. However the Stahwille Manoskop 730N/2 has a number of other very nice product features. First let’s have a look at the handle and its design features. The handle grip has a rubberized finish and feels very well, also from an ergonomics perspective.The handle is resistant to oils, grease, fuels, brake fluids and Skydrol according to the product description. In the picture above you see the scale window on a central spot in the handle. Stahlwille uses a twin scale design, where the black scale gives you the torque preset in Nm, while the green scale shows you the torque in ft·lb. The end part of the Stahlwille 730N handle is the place where you can set the required torque. Turn the button to the required torque. The steps are 0,2 Nm in which you can set the torque, where each step gives you a clicking sound. 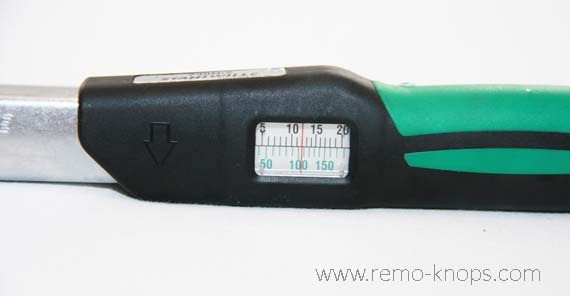 So in addition to the accurate scales, there is also and audible notification when adjusting the torque. Push in the button again (to the left) so the preset gets locked. This is a fail-safe mechanism so you can’t adjust the torque setting during use. No rocket science, but well thought out German quality. The Stahlwille Manoskop 730N series have square drives that allow you to insert a wide variety of available insert tools. 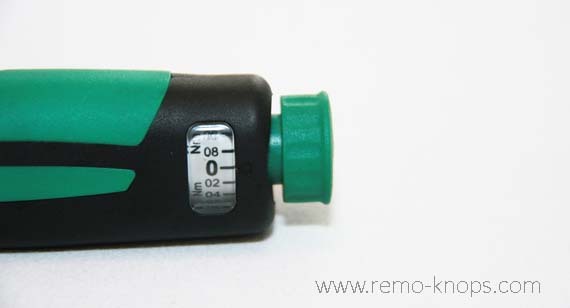 Depending on the Manoskop 730 model the square drives measure 9×12, 14×18 or 22×28 mm. The 730N/2 has a 9×12 mm square drive, that I use in combination with ratchet for a 1/4″ bit-holder. The picture above clearly shows my preferred set-up and you can also see the safety lock/quick release for the insert tools. I have two Stahwille 730N Manoskop mechanical torque wrenches, as per table below. With two Stahwille torque wrenches I have my most used torque ranges covered. While the price-point of a Stahlwille Manoskop 730N is not cheap, you buy a piece of high quality and well thought out German engineering. You might need to calculate some additional costs for the insert tools of your preference. Good quality tools are a long term investment. For example I have a PB Swiss Tools 212LH-10 long hex key set that is over 15 years old and hardly shows signs of wear. I expect the Stahlwille products that last at least as long, with normal use. For other reviews of high quality (cycling) tools you can check out the Cycling Review Table. What torque wrench do you use? 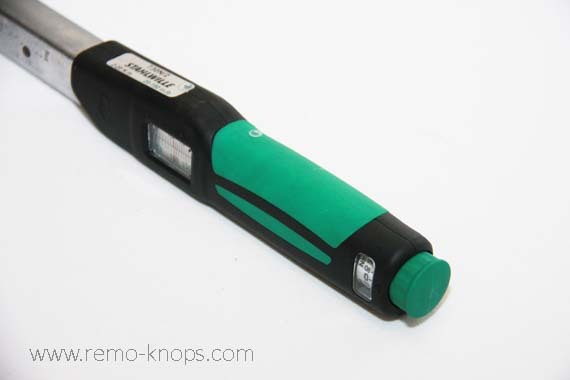 Hey!, I found this information for you: "Stahlwille Manoskop 730N/2 Mechanical Torque Wrench 2-20 Nm". 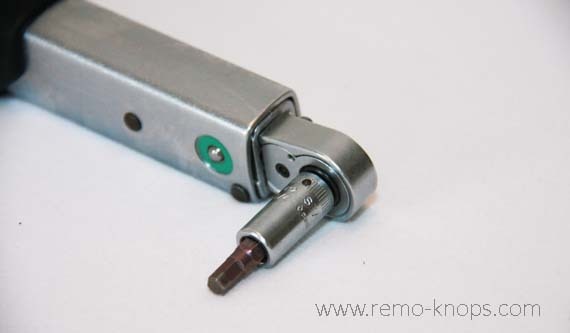 Here is the website link: https://www.remo-knops.com/7083/stahlwille-manoskop-730n-2-mechanical-torque-wrench-2-20-nm/. Thank you.